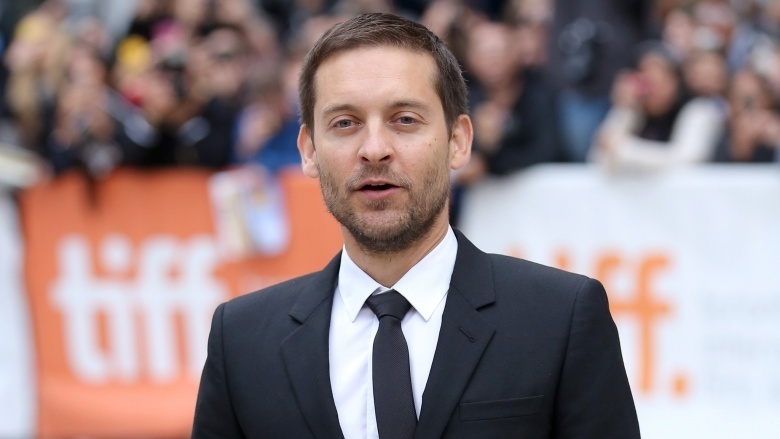 Ten years ago, Tobey Maguire was an A-list star with an Oscar-winning movie and a record-breaking superhero franchise to his name. Nowadays, you pretty much never hear about him. Let's go beyond the 25th Hour and Seabiscuit to see what Maguire has been up to lately. 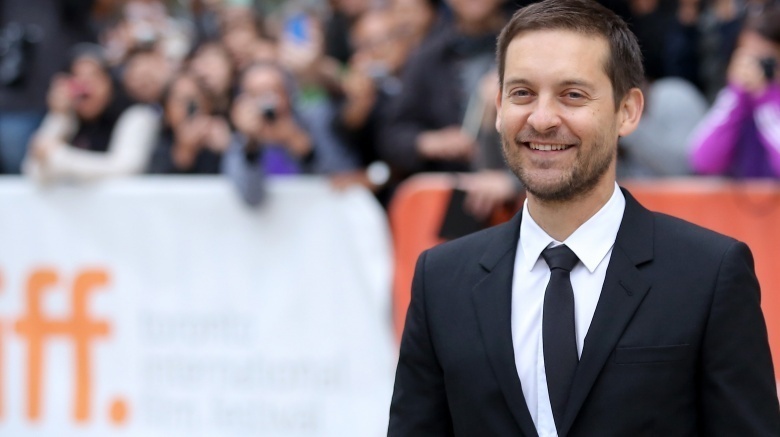 The Spider-Man franchise made Tobey Maguire a superstar. It also stunted his career. Well, one of the movies did, anyway. By the time Spider-Man 3 rolled into theaters in 2007, Maguire was riding high off the film's predecessor, which did insanely well among critics and at the box office; to this day, Spider-Man 2 is considered one of the greatest superhero movies of all time. Spider-Man 3 failing to follow in its footsteps was inevitable; and making a better movie felt almost impossible at the time. Still, nobody was quite prepared for just how bad Spider-Man 3 would ultimately be. 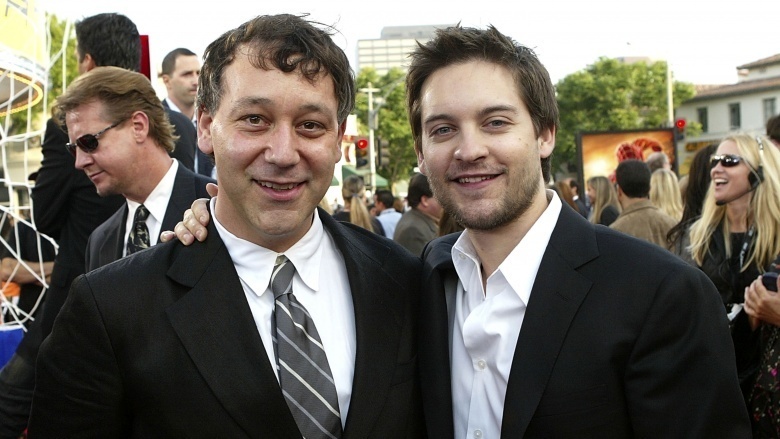 Even director Sam Raimi admitted Spider-Man 3's shortcomings in a 2014 interview with Nerdist. "I messed up plenty with the third Spider-Man, so people hated me for years. They still hate me for it," he said. "It's a movie that just didn't work very well." After Spider-Man 3, Raimi and his team aimed to correct all mistakes by making a fourth Spider-Man movie. Unfortunately, Sony scrapped the project. Supposedly. Raimi couldn't get a script done on their timeline. Instead, Sony would pursue a reboot of the franchise, which inevitably became 2012's The Amazing Spider-Man starring Andrew Garfield. Back then, the decision made sense; it had been three long years since Spider-Man 3 hit theaters, and Maguire was already pushing 35. Raimi told Vulture: "I was very unhappy with Spider-Man 3, and I wanted to make Spider-Man 4 to end on a very high note. But I couldn't get the script together in time, due to my own failings, and I said to Sony, 'I don't want to make a movie that is less than great, so I think we shouldn't make this picture. Go ahead with your reboot, which you've been planning anyway.'" We still wish the Evil Dead director could've done Spider-Man 4. 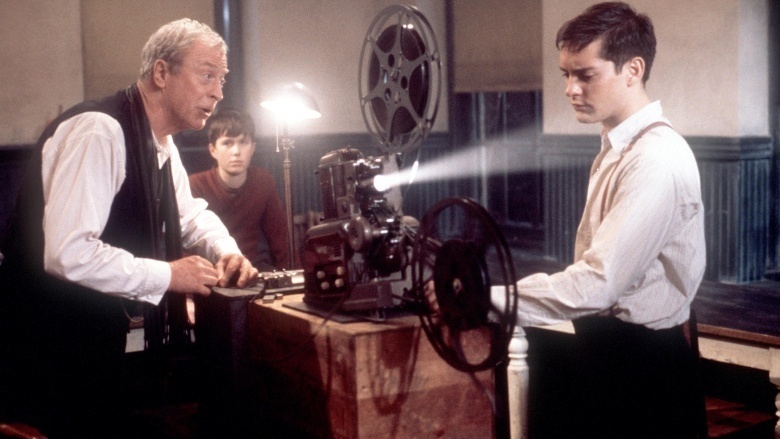 Tobey Maguire has a rather young look to his face, and an even softer voice, all of which worked so well when he first became a star in movies like The Cider House Rules and the aforementioned Spider-Man franchise. As he got older, Maguire never quite aged out of his boyish charm, making it difficult for audiences to connect with him as he began to take on more mature roles. One needn't look further than Baz Luhrmann's remake of The Great Gatsby in 2013. He basically looked like he was playing a slightly older version of his character from The Cider House Rules. Ironically, it's the exact same problem Maguire's close friend and Great Gatsby co-star, Leonardo DiCaprio, managed to overcome in the late '00s by taking on grittier roles. If he hasn't already, he might want to give Leo a call. Perhaps Maguire could read the writing on the wall; or perhaps he was just itching to do something else. Whatever the reason, Maguire has spent a good chunk of the last few years behind the camera producing films through his production company, Material Pictures. Maguire's career as a producer hasn't exactly been all that great. In two specific cases, Maguire has been linked to high-profile projects that strangely never materialized: an adaptation of Tokyo Suckerpunch, which supposedly had Anne Hathaway and Seabiscuit director Gary Ross attached; and the comic-book adaptation Afterburn, which piqued the interest of Gerard Butler and, at one point, director Antoine Fuqua. The films co-produced by Maguire that actually made it to the screen haven't done well. Among the worst: Rock of Ages, which made $38.5 million of a $75 million budget; Pawn Sacrifice, which pulled a mere $2.4 million in 2015; and the 2016 thriller The 5th Wave, which climbed to $33.1 million. It's definitely time to call Leo. Maguire's penchant for gambling is the stuff of Hollywood legend. 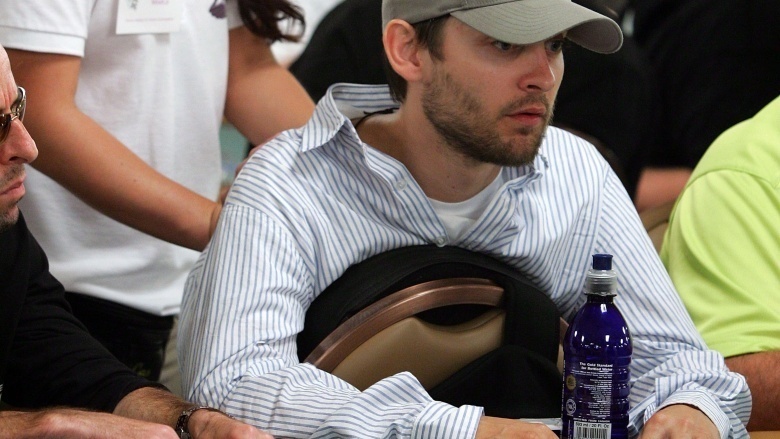 In 2011, his name was linked to an illegal poker club that allegedly involved Matt Damon, Ben Affleck, and DiCaprio. Maguire was subsequently sued for his involvement after it was uncovered that the ringleader, Bradley Ruderman, had been using his investor's money in their poker games. 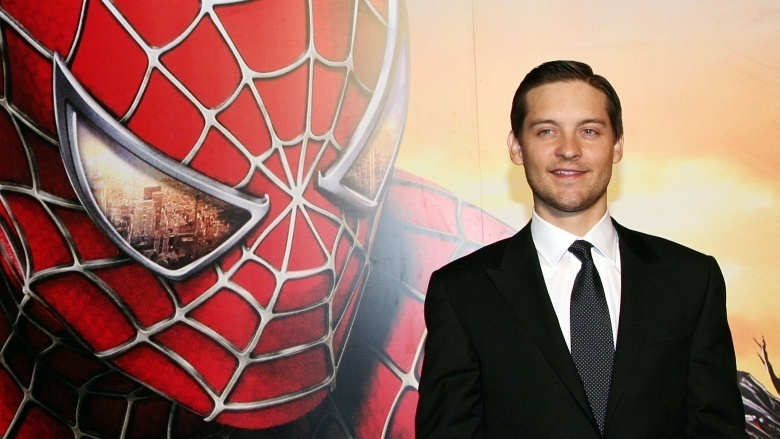 Maguire settled in 2012 to avoid litigation, according to Celebuzz. Two years after Maguire's settlement, a woman named Molly Bloom, who organized many of the high-profile poker games, wrote a scathing memoir called Molly's Game, which detailed some of Maguire's alleged bad behavior. 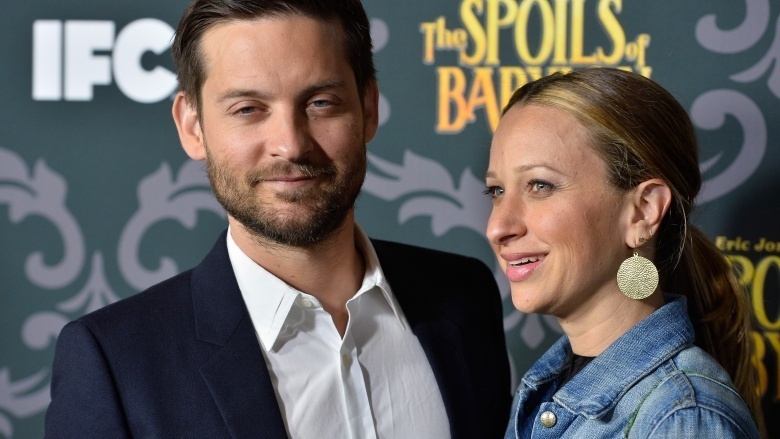 "[Maguire] was the worst tipper, the best player, and the absolute worst loser," Bloom wrote (via Vanity Fair). During one particular game, Bloom claims that Maguire made her "bark like a seal who wants a fish" to obtain a $1,000 chip. After Blown laughed nervously, Maguire allegedly fired back, saying, "I'm not kidding. What's wrong? You're too rich now? You won't bark for a thousand dollars?" That doesn't sound very Spidey-like. Having said all of this, one has to remember that we're no longer living in 2001. In other words, Maguire is now 40 years old, married, and has two kids. There's a distinct chance that he might have bowed out of Hollywood to relax a bit and be a family man with the leftover money he earned throughout his career. That certainly wouldn't be unheard of for a celebrity who spent around six years headlining one of the biggest movie franchises in the world. It may also explain his decision to star in IFC's unique TV miniseries, The Spoils of Babylon, which became an unexpected hit in 2014. He just doesn't have to care that much anymore. Spider-Man 3's Emo Parker would be so proud.